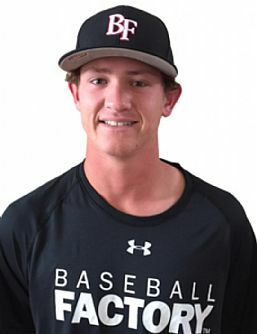 We first saw Kyle Hurt as a 5-foot-6 145 pound rising 7th-grader at the August 2011 Under Armour Baseball Factory Interactive Video Program in La Jolla, CA. At the time, he was a two-way player that played 1B when he wasn’t pitching. He topped at 71 mph that day, and showed a loose arm along with with a sound delivery — skills that would remain constant throughout his development. A little less than a year later, in July 2012, we saw him again at the Cape Cod Select Training & Competition. He again featured a clean arm stroke, along with good overall rhythm and balance to his delivery. Still just a rising 8th-grader, he bumped the top end of his fastball up five ticks to 76 mph — easily above average for his age, and approaching average for the high school level that he was still more than a year away from. 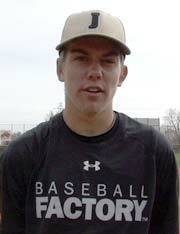 We wouldn’t see him again until the Under Armour Futures West Showcase in the fall of 2015. Over the years between events, we missed some big milestones — by the fall of his freshman year he’d grown to 6-foot-2 and 190 pounds, and shortly after the start of his sophomore year he’d committed to the University of Southern California. By the time he took the mound for us in September 2015 at the Futures West event, he was listed at 6-foot-4 and 205 pounds — marking ten inches of growth and sixty pounds of maturity in a little more than four years. Remarkably, that wasn’t even the biggest change from the last time we saw him. He didn’t throw a single fastball under 90 mph during his two innings of work at Futures West, while he topped at 92 to mark an amazing 21 mph velocity increase since August 2011. Working from a three-quarters arm angle and with a low effort arm stroke, his fastball played even firmer than the 90-92 indicated by the radar gun, and had darting arm side life worth at least a half-grade bump up the scale. Remember the previous note about the consistency of his arm action and delivery as he developed? Well, the payoff appeared most recently in what is arguably the most advanced command in the high school class of 2017. He threw his fastball seemingly at will to both sides of the plate, backed off on an advanced upper-70s change with devastating diving sink, and showed the ability to land his mid-70s breaking ball. He rocketed up our board for the 2016 Under Armour All-America Game following his Futures West outing, and was officially announced as among the first 10 selected on January 15.